Prices for these combo kit deals range from as low as $70 all the way up to $2,500, but the majority of combo kits are priced right around $300. 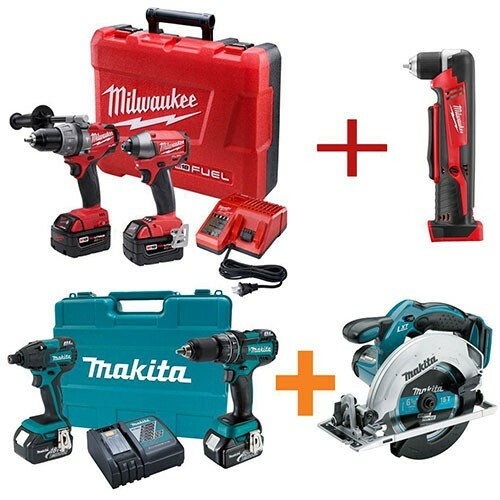 You might be thinking that HomeDepot is trying to clear out some older stock, but even the latest kits featuring Brushless Motor technology are a part of this deal. So what kind of Free tools can you get? It does depend on the combo kit you select, but you do have a good selection of tools to choose from. If you want a basic Drill and Impact Combo Kit, you can pretty much choose a circular saw, reciprocating saw, oscillating saw, or grinder to go with it. You are basically getting a $100 tool for free and with Christmas just around the corner, you don't want to miss out.